Middle Eastern Meatballs (Kofta Kebabs) made in 15 minutes with authentic middle eastern spices, just like the ground beef kebab you love at restaurants. Middle Eastern food is in my comfort zone because I grew up eating it. Anytime I need to feel more at home (we live a long ways away from home righ tnow), I reach for my old family favorites. Growing up, my mom would make ground beef kebabs almost every week, so I have a soft spot in my heart for these kofta kebab meatballs. When my mom would make Kofta Kebabs she never made them into meatball shape, instead forming them into log shapes. 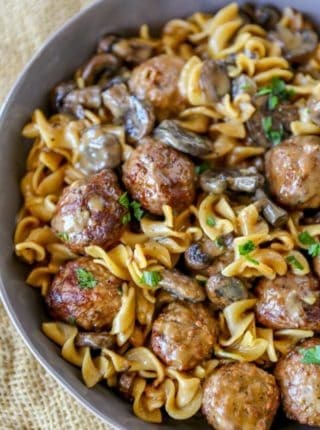 For the purposes of keeping this recipe from going viral in a weird way because of the shape and color of the food I formed them into meatballs (we also make them into meatballs now) and by doing that it actually makes the process a lot easier for you too! How do I know they’d go viral in a bad way you ask? Well the first time I made them for my kids they giggled and made inappropriate jokes about them. Point taken, we adjusted the way we make them at home. One of the easiest ways to make a meatball is with a cookie scoop. I use this one and scoop them directly onto the sheet pans or cast iron skillets. Don’t worry about the bottom being flat, these kebabs are going to be larger than a classic meatball and the bottoms being flat only help you in cutting them in half with your fork. No escaping meatballs from your plate! What kind of meat is kofta? Traditionally lamb is used in kofta, sometimes even a lamb and beef mixture. This recipe uses ground beef instead of a lamb mixture because most people tend to use ground beef and the flavor of lamb for people who aren’t used to it can be slightly gamey. How do you make kofta kebabs? The way kofta kebabs are traditionally make is by either forming the meat around metal skewers over an open grill or by creating a cigar or log shaped meat mixture which can be cooked on the grill, on the stovetop or in the oven. What do you serve with Kofta? Traditionally a rice pilaf, roasted bell peppers, hummus or greek salad are served along side kofte kebabs. Often people stuff them into pita bread pockets with hummus, tomatoes and lettuce. What are in Turkish Kofta Kebabs? This recipe varies from a traditional turkish kofta kebab as the Turkish variety usually includes breadcrumbs, egg or milk soaked bread. Do not skip the mint or the seasonings, they’re meant to work together to make a very unique flavor you’re familiar with if you’ve ordered this in restaurants. If you don’t have fresh mint you can use dried mint. Make sure you are using dried spearmint instead of peppermint as the menthol content in peppermint is 8 times higher than that of spearmint and you don’t want the recipe to taste like a candy cane. You can shape the mixture into classic kofta kebab shapes as well, or you can even shape it into a hamburger patty to make a middle eastern burger. The recipe can be cooked on the grill if desired or even in grill pans if you shape it into thinner or flatter shapes. Make sure you don’t cook the kebabs until they’re well done, refer to the picture below for keeping them moist by allowing them to stay somewhat pink in the center. Can you meal prep the kebabs ahead of time? If making same day: Combine the ingredients and press a piece of saran wrap over the top of the bowl to keep it fresh, then just scoop and bake. If prepping for the future: Prepare the recipe and scoop it onto a cookie sheet lined with parchment paper. Freeze until firm then add to a freezer safe container. 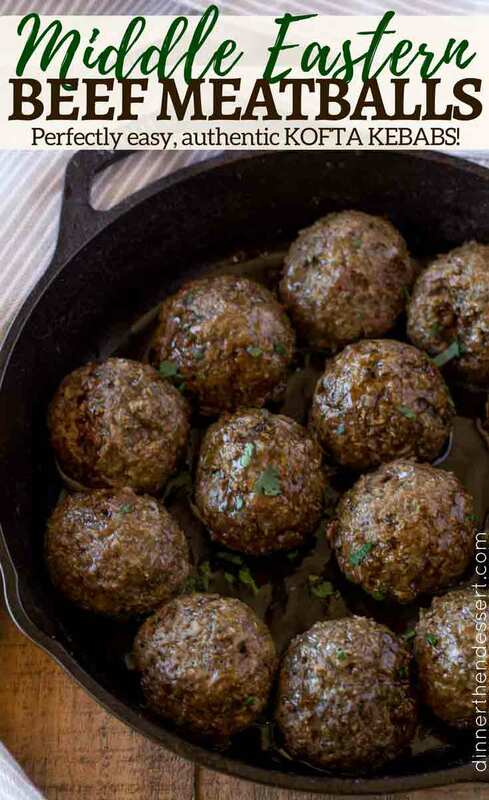 To cook: Add the meatballs to a skillet or cookie sheet with at least 1/2 inch lip and bake at 425 for 18-20 minutes. If making for lunch: For easier eating, use a 1 1/2 tablespoon cookie scoop to make mini kofte kebabs. This makes eating at lunch easier and makes the meatballs bite sized. 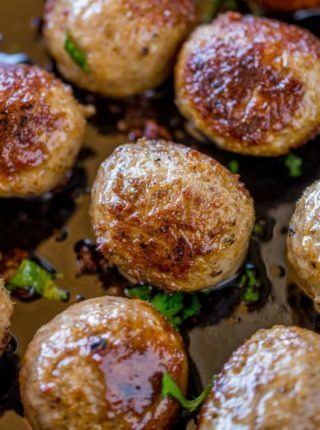 Cook the meatballs on a cookie sheet for 12-15 minutes. 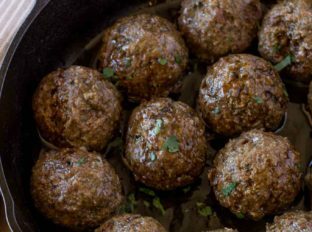 Middle Eastern Meatballs (Kofta Kebabs) made in just one bowl and ready to bake in 15 minutes with authentic middle eastern spices, it tastes like the ground beef kebab you love but with minimal effort. Add all the ingredients except the beef into a bowl and stir well. Add in the beef and stir until just combined. 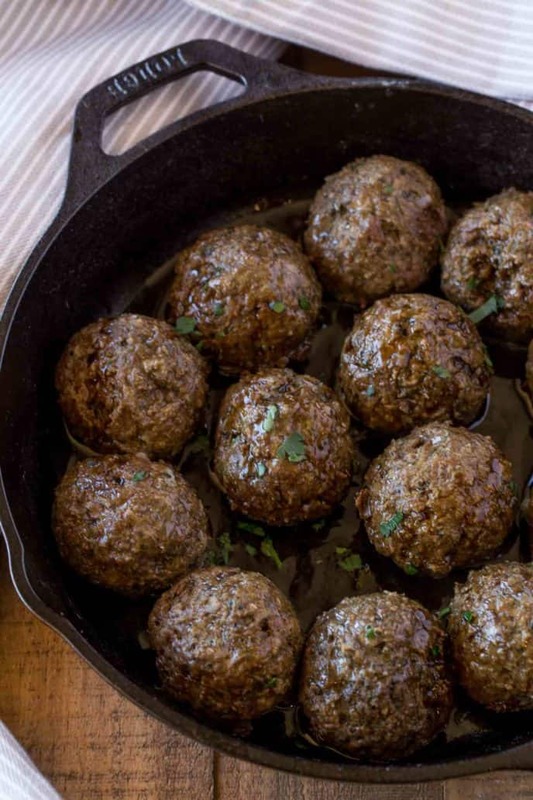 Form into 1/4 cup meatballs (I use an ice cream scoop) onto your cast iron skillet or sheet pan. Cook for 15-18 minutes or until cooked through. Just made these for dinner using ground elk meat. AMAZING!!! So flavorful and delicious. We made them on kebabs and grilled them. Myself and my boyfriend cannot stop raving about them. Thank you so much! Can’t wait to make them again. I mixed 1 pound of ground lamb with 1 pound of lean ground beef. Otherwise, I followed the original recipe completely. I could not believe how delicious these kebabs turned out and how easy they were to make. We frequently eat Mediterranean food out, and these kebabs are every bit as good as any that we have had out. Thanks for the suggestion, Julie. I’m so glad you enjoyed them. Sorry, I forgot to rate your recipe when I posted my comment, 5 stars! Sabrina, yet another delicious recipe! I unfortunately didn’t have any allspice, but had everything else. I put them in a 12″ cast iron pan in the oven for 18 minutes. I got 17 meatballs with the recipe. I don’t have a ice cream scoop (hey, an excuse to buy another kitchen gadget!) so they were kinda round-ish. I think it gives them character 🙂 Will cook 14-15 minutes next time, as they were a a tiny bit well done, but still amazingly good! I served it with saffron rice and Lebanese yogurt sauce. I’m just really starting to get into cooking, and I really love your recipes. Each one I try gives me more confidence, so thank you so much! Loved these so much we made them twice just a few days apart 🙂 the first time with chicken (halving the recipe) and the second time with 2lbs of lamb. Very nice flavors in the spices! Thanks for the recipe — definitely going into our rotation. So glad you enjoyed them, Adrienne. Great recipe! I made this in my toaster / convection oven and they came out pretty good. I had them in for 18 minutes which made them a tad overcooked. Will try a 14-15 minutes next time. Served with fusilli and cauliflower topped with cheese – made for a hearty, delicious, spicy meal! So glad you enjoyed it, Travis! Thanks for the 5 stars. I would like to see links to suggested side dishes to accompany this. I’m going to make some pitas and rice, but I’ll bet there are better options. 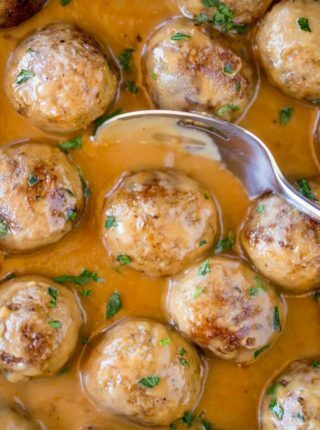 Thank you for sharing your arabic meatballs recipe. It was simple and the perfect flavor. I felt they taste similar yo ones I had in an arabic restaurant. I just followed your recipe and they are in the oven now. Looks and smells fantastic. I have had these in Persian and Lebanese restaurants and loved them. Will probably make this plenty more! I didn’t have mint but with everything else, it’s the best kafta recipe I’ve ever made!! So glad you loved them!! 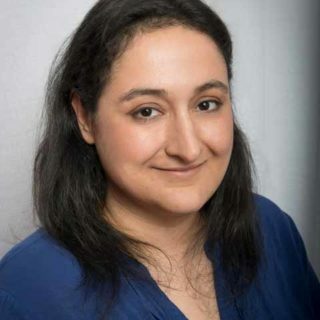 Thanks for the 5 stars, Diana. These are delicious! I’ve made them several times, first with ground beef, and then with 1 lb. each ground turkey, ground chicken. I always leave out the mint. My husband doesn’t like tomato sauce, so he especially enjoys these. Thanks!! You’re welcome, Jolie! So glad you all love them! Thanks, Bob! So glad you enjoyed it! If you’re only using one pound of ground beef, you’ll want to use 1/2 tablespoon minced mint. Enjoy! Is it 1/3 cup of parsley? Looks like there was a glitch in the recipe card. Thanks for catching that. It should read 2 tablespoons. Thanks! Searching pinterest, I found your recipe. I made kebabs with the meat on metal skewers and grilled them. My 5yr old who isn’t picky, but just doesn’t comment too much on flavor, loved them and purred all through supper. Is there a traditional sauce that might be served with the meat, or is it eaten by itself in a pita? 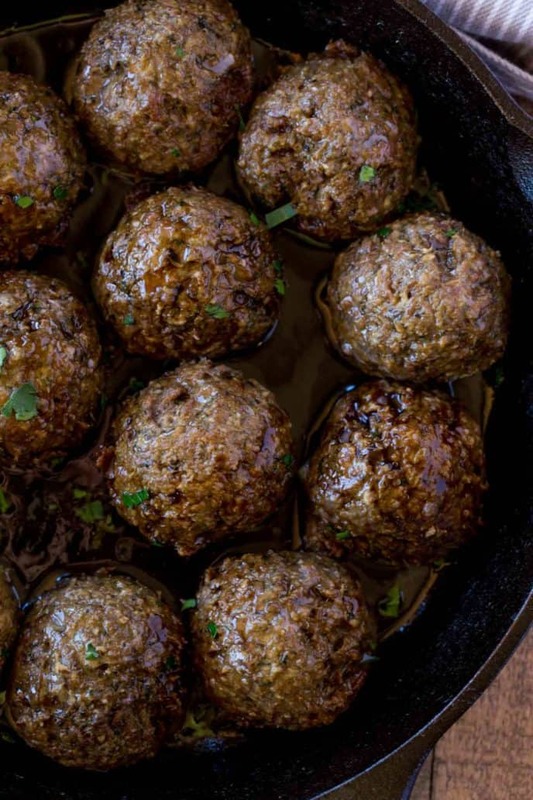 How do you keep your meatballs so round? When I brown meatballs in a skillet they get flat on the sides and end up looking like cubes! I prefer browning in a skillet rather than baking them. I use this meatballer https://amzn.to/2t5vCcd It’s amazing! Hello! I am wondering how many meatballs this yields and how many meatballs per person? I am trying to scale this recipe to serve 60 people. Thanks! If you’re making it as an appetizer, I would suggest tripling it. If it’s for a main dish, you’re going to need to at least quadriple the recipe. Have a fun party! This was delicious! 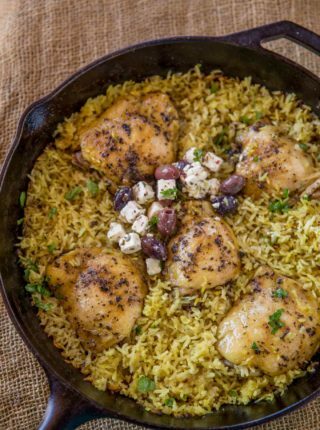 So much flavor and easy to make! Just what I was looking for. These were easy & delicious! I (sadly) didn’t have mint, but they were great anyway, with a mix of lamb & beef. Will become a regular item in our rotation! I made the beef meatballs last weekend and my family loved it. My kids hated beef, my son had 3 and my daughter had 2. They told me to make them again this weekend. I am going to change it to beef patties instead of meatballs. Yay!! Love it when the kids approve!! Looks delicious! Adding this to our menu this week! Absolutely fabulous! Love your site. Thank you! The flavors in these meatballs sound incredible!! I haven’t tried these before but it sounds so flavorful! I can’t wait to give these a try! 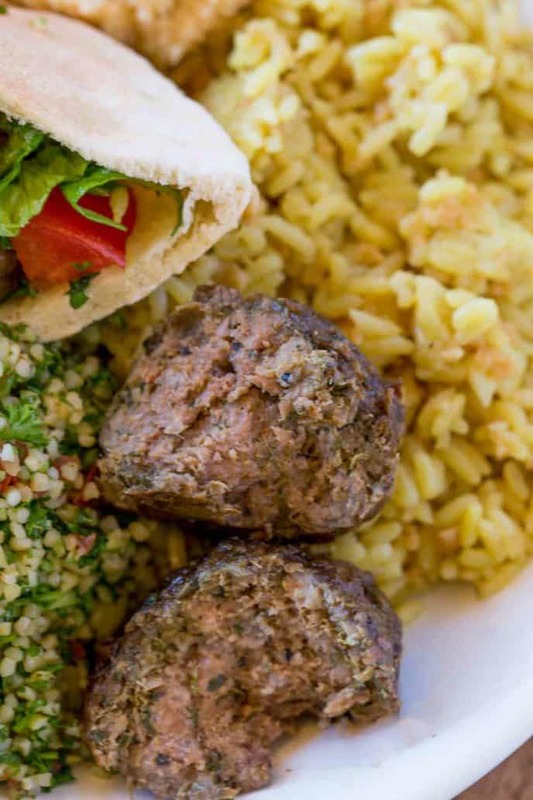 Meatballs are such a fun dinner, and I really love the middle eastern spices here! It’s fun to switch things up!